In the three months between the Silverstone 430 km race in May and the ADAC's Nürburgring event on August 17, Mercedes and Peugeot made great efforts to close the gap between themselves and Jaguar. 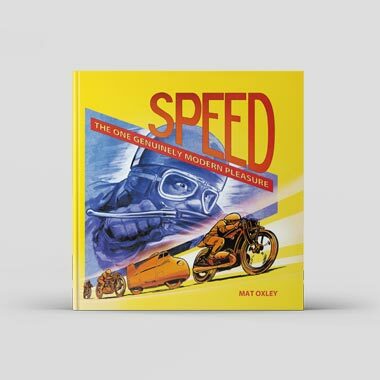 In terms of lap times they were quite successful, narrowing a four second per lap chasm to less than one second, but their reliability factor hadn't improved at all. The two purple Silk Cut Jaguars finished the German race, the fifth round of the Sportscar World Championship, five seconds apart but six laps clear of the third placed Kremer Porsche. 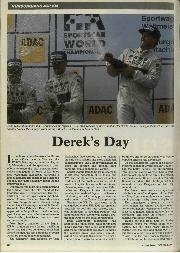 Two Mercedes and two Peugeots were already being loaded back into transporters while Derek Warwick, Teo Fabi and David Brabham appeared on the podium. 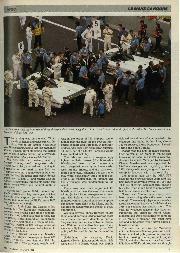 . . and the race, part of a series once called the endurance championship, had lasted less than two-and-a-half hours. 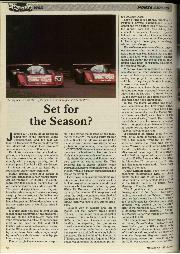 Ross Brawn, designer of the Jaguar XJR-14, predicted even before qualifying started that if the two continental rivals had closed the gap, the last part of the process would be the hardest to accomplish. The Kidlington team directed by Tom Walkinshaw had worked hard on making the cars more reliable and more efficient in all departments, and a lot of work had been done on springs and torsion bars, dampers, brake cooling and venturi. Starter motors tend to be troublesome in sports cars, especially at Le Mans, and TWR has one starter which does all the test work and all the practice sessions, just to see how long its life may be. It was this sort of development, beyond the scope of Mercedes and Peugeot in the midsummer months, that enabled Jaguar to achieve a 1-2 victory, and which may prove decisive in the pursuit of the Teams' Championship. Visually the Silk Cut cars were hardly changed, other than NACA ducts replacing 'snorkels' to cool the rear brakes, and it was interesting to see that Peugeot had adopted snorkels, along with Jaguar's two-tier rear wing, on the development path. Brun Motorsport, meanwhile, had adopted the 'coke bottle' waist for its new Judd-powered Group C car, while Peugeot had made tremendous progress rejecting the pinched waist and going straight-sided! The moral to this seems to be that if you're going to copy someone it's best to be quick, and to be sure that what you're copying offers a real advantage. 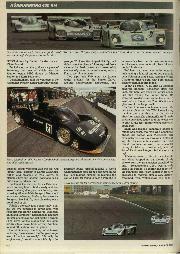 Of the challengers, Mercedes seemed closer to Jaguar at Silverstone, but Peugeot had the better hand at the Nürburgring. Teo Fabi and Derek Warwick had to work hard to lock up the front row of the grid in marginally under 80 seconds, then Yannick Dalmas and Mauro Baldi both got within a second in their Peugeots to claim the second row. The French team was encouraged not only by the new-found speed of the 905s, resulting from a completely new aerodynamic package, but by the reliability factor. The transmission problems that made life so difficult last winter have been overcome, the Michelin tyres seemed well able to last a 50-minute stint in admittedly cool conditions, and even the engines were reliable throughout qualifying. Baldi's car lost track time on Friday afternoon when the wiring loom overheated, but the 905s were otherwise reliable until the race was under way, and this fact alone may be a very good pointer to form in the last three races of the season. Notably, air for the side-mounted radiators is now ducted around the sides of the cockpit, and not through the nose panel which is rounded off and carries a full-width wing. As a result, the car is far better balanced and responds properly to chassis tuning, allowing (among other things) softer springs to be fitted, and the cars no longer bounced around like castanets over the bumps. On the third row, and more like two seconds behind the Jaguars, the Mercedes team was in some disarray. The chassis have been excellent from the outset, and now the C291s are right down to weight, but the quest for extra power from the flat-12 engines resulted in a whole crop of failures. Even so, further analysis points to increased development, and not to panic stations. All three factory teams had special fuels, Jaguar's from BP, Peugeot's from Esso and Mercedes' supplied by Castrol, within the weight and density parameters set by FISA but exotic nonetheless, and worth perhaps 20 horsepower in each case. Mercedes did extract more power from its 180-degree vee 12 engines, say 630 bhp for the sake of argument, but miscalculated the value of the fuel and was undergeared when the cars ran for the first time on Friday morning. The engines were run to 13,400 rpm, when 200 rpm less would have been kinder, and they both blew up early in the afternoon session, leaving Jean-Louis Schlesser and Michael Schumacher to vie for the lower-powered T-car. The race engines featured larger valves and had 12 throttle butterflies instead of four, which meant that they had better torque and more top-end power. The catalogue of failures continued, but seemingly at random -- Schumacher's car, which Karl Wendlinger shared whenever a rare opporturtity arose, had an alternator failure on Saturday, then a water leak, and consequently (in Dr Hermann Hiereth's opinion) suffered another engine failure on Sunday morning. Schlesser's car, which Jochen Mass shared occasionally, had an incurable misfire on Saturday and a jamming throttle on Sunday morning. Neither car went very far in the race, Schumacher's with a throttle link breakage after 10 laps, Schlesser's with a broken fourth gear after 26 laps, and since the gear went through the transmission casing there was no question of continuing. A company with the resources of Mercedes will have wasted no time in addressing these problems, random as they appear to be, in an extremely intensive development process within Unterturkheim. In Peter Sauber's opinion there would be no point in testing the cars again until dynamometer and test-rig results give the powertrains a clean sheet. At the moment the Sportscar World Championship is a six-car race, but that will change next year. Toyota's TS010 is reportedly going very well in testing and could be a formidable addition to the grid at Autopolis on October 27, and meanwhile Walter Brun and Franz Konrad both gave their new 3.5-litre cars a baptism at the Nürburgring. Brun's car, the Judd V8-powered C91 designed near Basingstoke, ran a total of 13 laps on Friday with various problems, the worst being clutch engagement and engine overheating, and was "retired" by Oscar Larrauri three laps into the afternoon's qualifying session when the clutch exploded and shattered the housing. 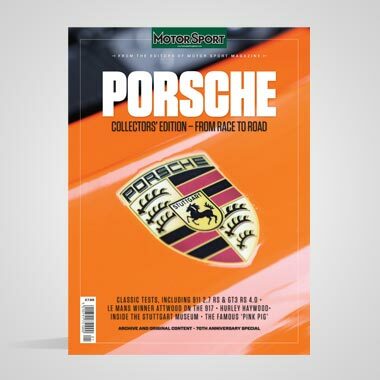 The team had not, at that stage, equipped itself with a spare housing, so the real debut of the Repsol-backed machine should have been at Magny Cours in mid-September. It was not typical of FISA to allow it out on the track without proper scrutineering, but the exercise was purely to give the car a decent birth and there was never any question of racing it. Two Spices formed the fourth row of the grid, Euro Racing's which was, again, about five seconds off the pace in the hands of Cor Euser and owner Charles Zwolsman, and the Berkeley Team's older SE89C driven by Ranieri Randaccio and Mirko Savoldi. Behind them on the grid was a pack of Porsches, the best of which was the Kremer team's 962C driven by Manuel Reuter and Harri Toivonen. David Brabham, at 25 the youngest of the Australian dynasty, had a thoroughly distinguished debut weekend with the Silk Cut Jaguar team, starting in Derek Warwick's XJR-14 and finishing in Teo Fabi's, so claiming first and second positions in his first major sportscar race. He found the start hectic as Fabi hesitated, forcing him to brake early and see Keke Rosberg dive past in a heroic, tyre-smoking effort with his Peugeot. Nor was it very nice following Rosberg because his Peugeot, like Baldi's, was chucking out a good deal of oil. Fabi led the early laps comfortably, pulling out five seconds in seven laps, with Rosberg apparently holding up Brabham, Baldi and Schlesser. Dramatically Rosberg got into a tank-slapper exiting the downhill Ford curve for the eighth time and spun luridly into a gravel bed, leaving Brabham to fend off Baldi for second place. Could Rosberg, the king of sideways motoring, have allowed the Peugeot to get away from him so easily? "Actually the engine went," he said matter-of-factly in the garage. "I'd have liked to park it tidily, but I didn't have the chance." It transpired that a valve rocker had broken, and presumably the loss of power distracted the legendary Finn at a critical moment. Two laps later Fabi spun his Jaguar under braking for the Romer Kurve, another extraordinary happening, and Brabham found himself leading a World Championship race for the first time in his life. Fabi blamed himself for pushing the car too hard, for trying to pass a Porsche to increase his lead on his own team-mate, and he went down to fourth place 14 secs behind Brabham. Brabham had the race under control, maintaining a lead of one or two seconds over Schlesser and Baldi, reigning World Champion drivers both, with Fabi coming back to them in fourth place. So far, so good. At 20 laps 6.6 seconds covered Brabham, Schlesser, Baldi and Fabi, but then Fabi spun his Jaguar again, this time exiting the Romer Kurve. He stopped broadside across the track, and a layer of ice formed as Tom Walkinshaw glowered from the pit wall. 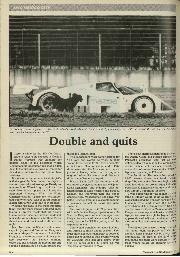 In the circumstances it was a little difficult to explain that his XJR-14 was losing traction, perhaps due to a dud shock absorber, and as he admitted later, "I made several mistakes today, and the worst was to spin at the last corner where everyone could see." Baldi was making desperate efforts to retake Schlesser, the man who effectively ended his career with Mercedes, and eventually found a way through in traffic on lap 25. His momentum carried him past David Brabham as well, the youngster caring to take no risks at all, and the forcefully driven Peugeot led the race by right. 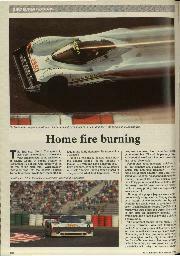 Schlesser went to his pit on schedule and Mass hopped in, but clouds of oily smoke from the transmission signalled the end. Schumacher's C291 was already inside the garage, a butterfly link undone in the gear rods, and Team Sauber Mercedes prepared to regroup after a very difficult weekend. Tom Walkinshaw had such a weekend at Spa in 1989, in the early character-forming days of the XJR-11, but for the Swiss-German team it was a new, salutary experience. Derek Warwick took his number 3 Jaguar from Brabham at the first stop, and the Australian then rested until Fabi had finished with number 4 at the second stop before taking it over. As a race plan it works perfectly, enabling Walkinshaw to have two genuinely strong number one drivers and a third who runs just as many laps in two cars; Brabham can't score any points, but the kudos of finishing first and second is enormous. Even the need to fit a new electronic control box didn't take the Baldi/Alliot Peugeot out of the lead, but 23 laps in the limelight was enough for the oily V10 engine. The end came suddenly, in a pall of smoke, and Warwick was lucky enough to be two seconds back, with enough warning to cope with the suddenly oil-drenched track. His XJR was through to the lead with just a wiggle, followed by Fabi, and then the pace cars came out to allow the track to be cleaned. Euro Racing's Spice went out with a terminal misfire in the Cosworth DFR, Berkeley Racing's with serious brake and clutch difficulties, and it became hard to take the German race seriously as a contest when, with 40 laps to run, the two Jaguars were five laps ahead of the pursuing Porsches and lone Mazda. It was back to reality for the Mazda team, Maurizio Sandro Sala and David Kennedy running the older 787 model to fifth place behind the Kremer and Obermaier team Porsches. 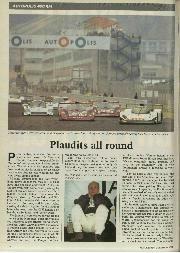 The German round of the championship, at the Nürburgring, was one of the principal reasons for Sir John Egan backing the Group C racing programme. 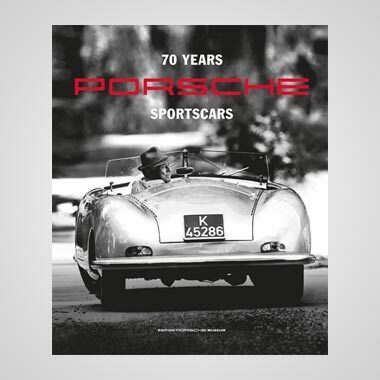 . . he regarded Porsche and Mercedes as Jaguar's natural rivals in the market place, "and where better to beat them than on home ground?" as he used to ask. Yet, the Nürburgring has been a jinxed circuit for Jaguar, in 1986 and in 1988, a lucky one for Peter Sauber and Mercedes . 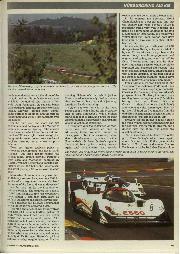 . . and Schlesser, who reached his hat-trick of Nürburg successes last August. 5. 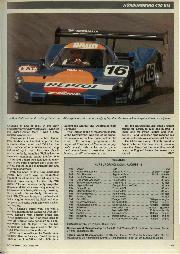 Sandro Sala/Kennedy (Mazda 767B) -- 89 laps. Drivers' World Championship (top five): Fabi 62 pts, Warwick 50 pts, Mass, Schlesser, Reuter 37 pts. Teams' World Championship (top five): Silk Cut Jaguar 75 pts, Sauber Mercedes 50 pts, Mazdaspeed 38 pts, Kremer Porsche 37 pts, Peugeot Talbot 29 pts.